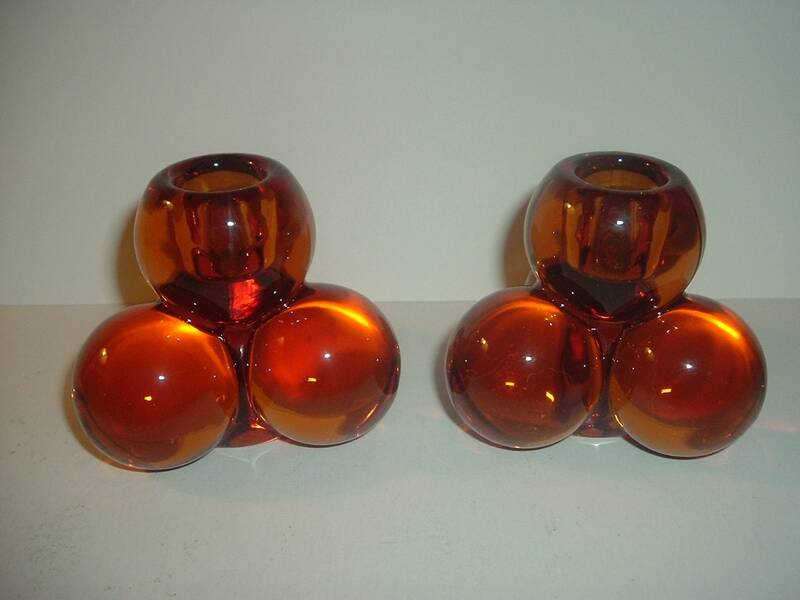 Each of this pair of Westmoreland glass Three Ball candleholders measures approx. 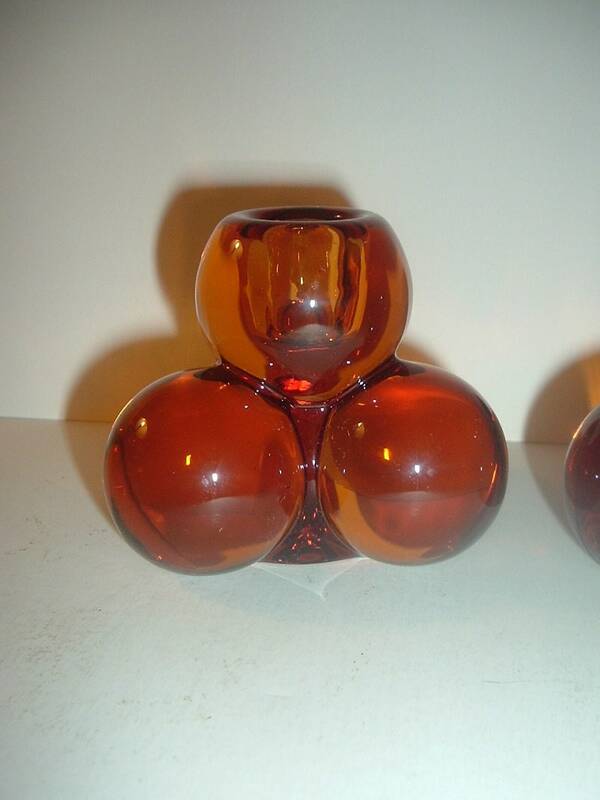 3"H. There are no chips or cracks on either. Both are unsigned. A nice pair! I gladly combine shipping.